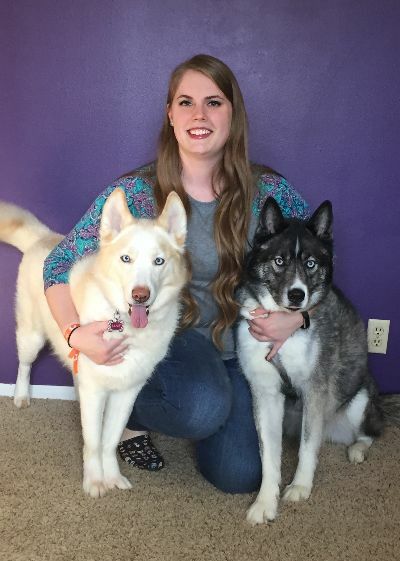 Shelby Backhus is the Director of Operations at Capital Humane Society’s Pieloch Pet Adoption Center. She has been with CHS since 2014 when she started as our Animal Behaviorist. Shelby is a Lincoln native who attended Lincoln Lutheran Jr./Sr. High School and graduated from the University of Nebraska-Lincoln with a bachelor’s degree in Animal Science. Outside of work Shelby enjoys spending time outdoors playing golf at the local courses or taking her dogs Balto and Lanie for walks. She is also a big sap for any Disney or Hallmark movie. Shelby’s favorite tradition is spending time with her family in Colorado Springs every year.